LookRev Token: VR + Blockchain + Business. The first decentralized P2P marketplace for creative products. Many utilities and revenue share, these are what LookRev tokens offer at its up coming token sale on September 8th, 2017. The ICO is based on the LookRev platform, a collection of more than a dozen web-based, Android and iOS apps that has had over 400,000 organic downloads and has had over 3 million activities on its platform which is based on six years’ worth of development work. LookRev token holders will get to enjoy several premium functions and utilities on the platform in exchange for their investment in the upcoming ICO. 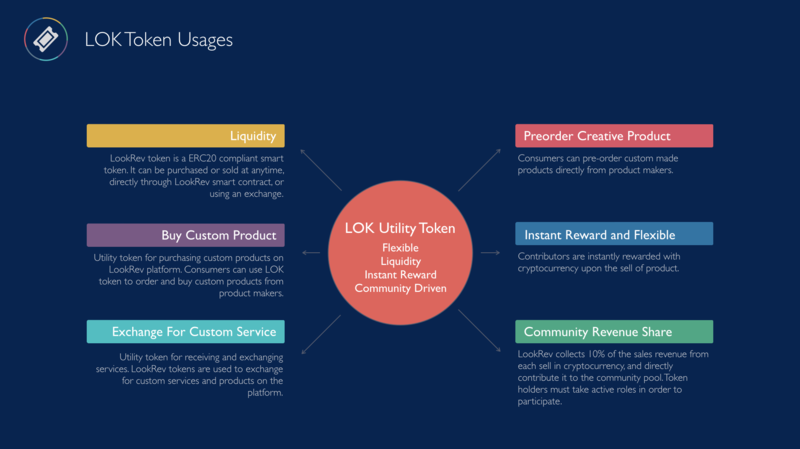 LookRev’s newly issued LOK token is a utility token for users to preorder, purchasing custom products, receiving and exchanging services on LookRev platform. Owners of LookRev token can also receive revenue share from the community pool by actively participate in the LookRev community. LookRev is the first blockchain-based peer-to-peer marketplace for innovative ideas and creative products. The platform helps buyers in getting their hands on unique products that aren’t generally available in the market. It also provides options for personalizing and custom ordering unique products directly from the creative product makers. 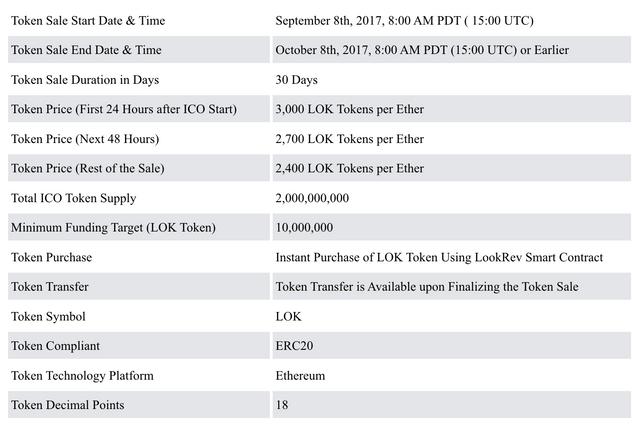 LookRev token sale starts on September 8th, 2017, it will be conducted through Ethereum blockchain, using LookRev smart contract. Buyers can directly purchase LookRev tokens during the crowd period on the blockchain using MyEtherWallet. Buyer will immediately receive LOK token in his/her wallet after the transaction is verified on blockchain. LookRev contact is verified on EtherScan.io, has the verified contract name of LookRevToken and LookRev Logo. Further details will be published soon on LookRev website, Bitcointalk, Medium, Steemit, Reddit and other channels. LookRev tokens provide means to accessing the platform in a unique way. 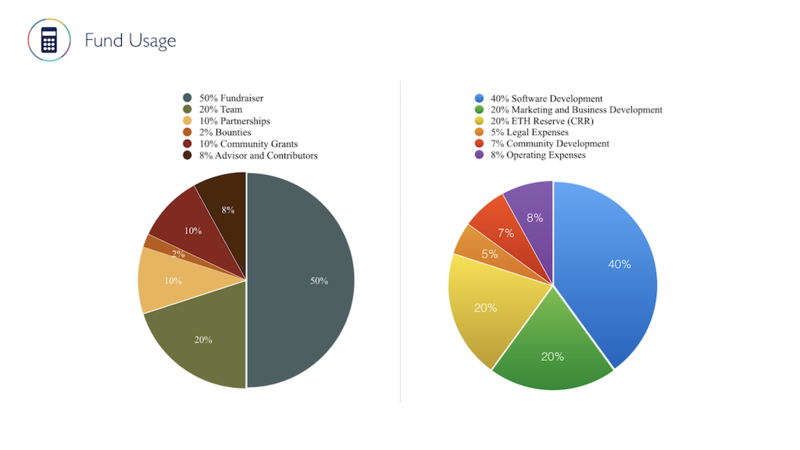 The LookRev token can be used for a variety of functions. Use it as a utility token to make custom purchases directly from product manufacturers and designers. It can be used to accept and exchange custom-designed purchases and products. It can also be used as a pre-order token to take part in pre-orders being offered by some companies. The coin holders can use these tokens to pre-purchase the products in a pre-order campaign. Many companies follow this strategy as it allows them to generate revenue for product release and to find out the interest of the public towards a new product or service. In the LookRev platform, those coin holders taking part in pre-sale are given the end products at a discounted rate when they are ready to be delivered or used. There is also a revenue share for the coin holders in the community revenue pool. 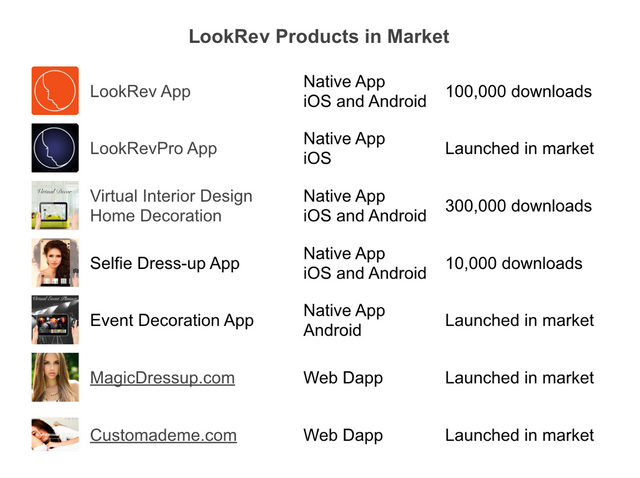 LookRev collects 10% of the sales revenue from each sell on the LookRev platform in cryptocurrency, and directly contribute it to the community pool. LookRev token holders need to be actively involved in the community to get revenue share. Larger holding of the LookRev tokens will result in a bigger share from this community pool. The goal of the ICO is to raise over 10 million LOKs or LookRev Tokens. The ICO offers discounted rates for investors in the new LookRev coin in the first 72 hours. 3,000 tokens will be issued per ETH for the first 24 hours, 2,700 for the next 48 hours and the rest of the ICO will see a fixed rate of 2,400 tokens per ETH. If you are already using LookRev or would like to be involved with the ICO and the team, you can contact the LookRev team on Slack or Telegram.